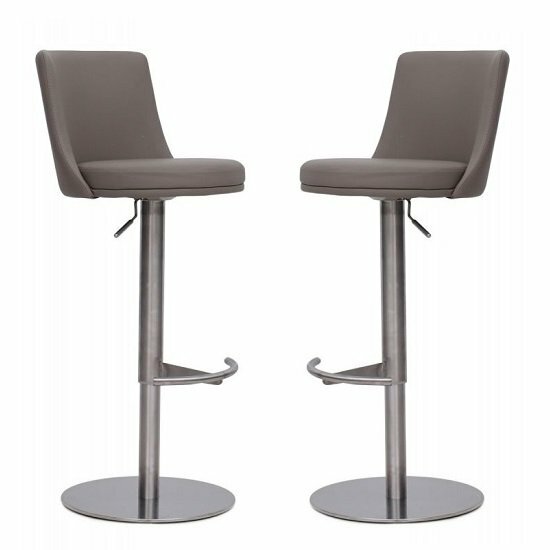 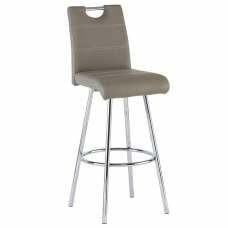 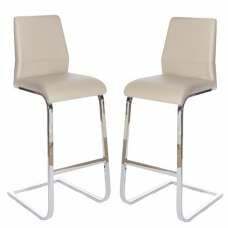 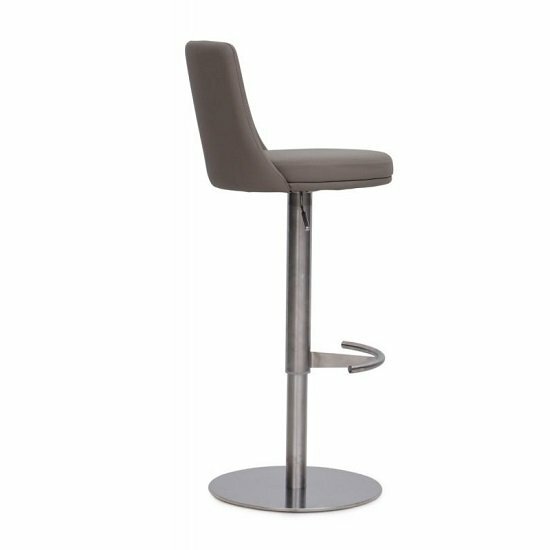 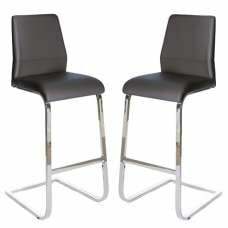 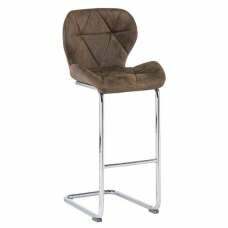 Fabio Bar Stools In Taupe Faux Leather With Brushed Stainless Steel Base In A Pair, This splendidly designed stool not only looks great, but is also incredibly comfortable too. 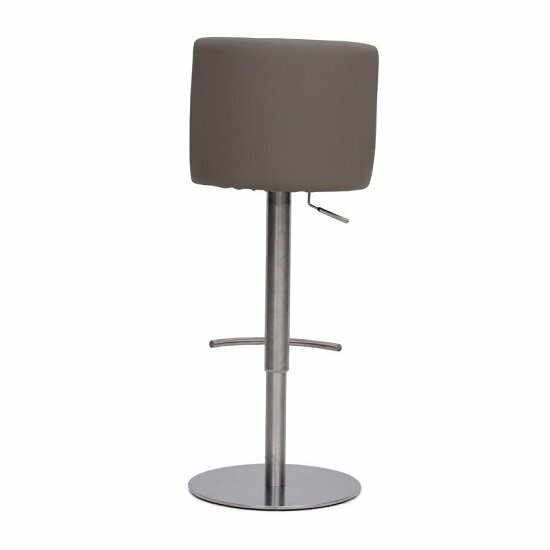 Crafted using faux leather and brushed stainless steel legs. 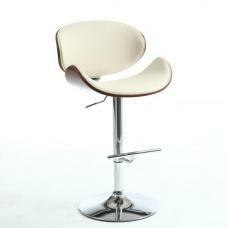 It has a gas lift mechanism as well as elegant foot rest with stable base. 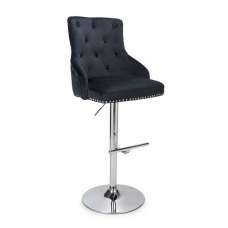 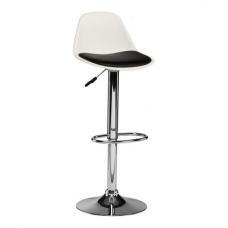 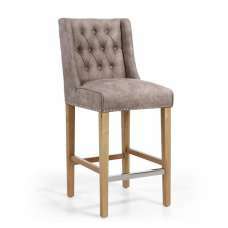 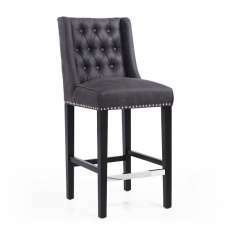 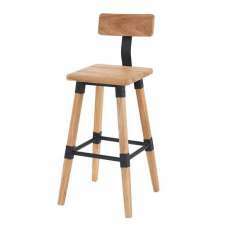 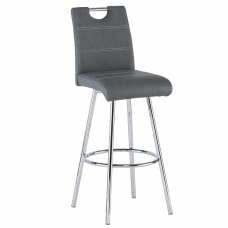 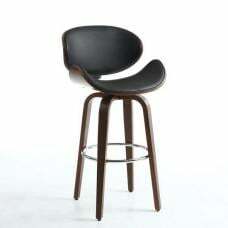 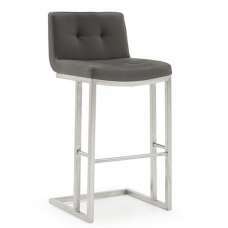 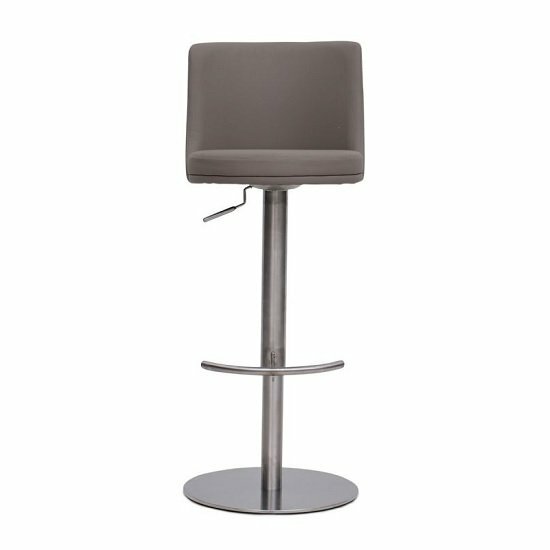 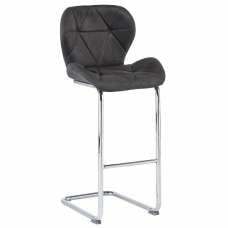 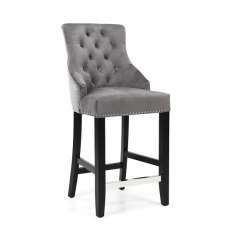 This top quality bar stool will make a great feature to any home, office, kitchen or bar!